The workshop “Bongo Controller” lets particpants modify almost everything into a controller. The computer is a handy device – but its controlling has become predictable. With space you make a blank space, by clicking right you choose objects, with C you make a C and so on. We know all that. So imagine you could control the computer with bananas, by making a high five, petting your cat, jumping into a bucket of water. The possibilities are nearly endless. 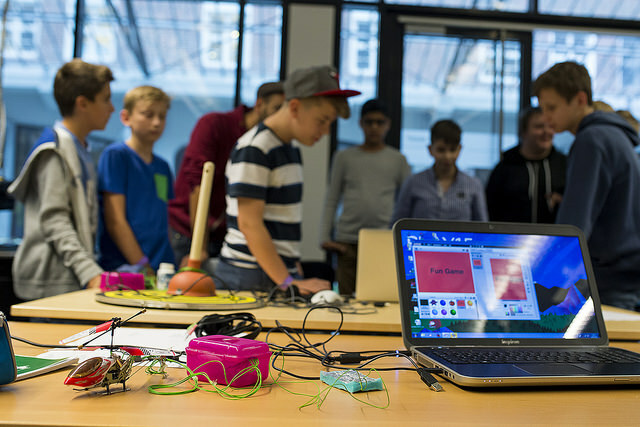 The aim of this workshop is to create own controllers with absurd, funny and unique ideas and diverse materials. With these controllers, the participants can play different games.